We’re a tech-based real estate company in Kuala Lumpur. 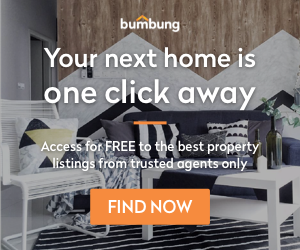 Bumbung.co was created to solve the problems we once faced as tenants, owners and property agents. Our vision is to Simplify the property search. Through matching qualified tenants/buyers to the right property, we’re confident that we are able to solve the issues of duplicated listings, fake agents, and unqualified tenants/buyers. This empowers Real Estate Agents & Homeowners to control their leads, no more listing into the void and hoping to hear an echo back. We have matched over thousands of leads. We provide a secured channel for real homeowners and agents to meet serious buyers and renters. We constantly innovate and focus on adding value for our users and the agents wherever we can through different touch points, enabling them to make the right choice while maintaining the best user experience.